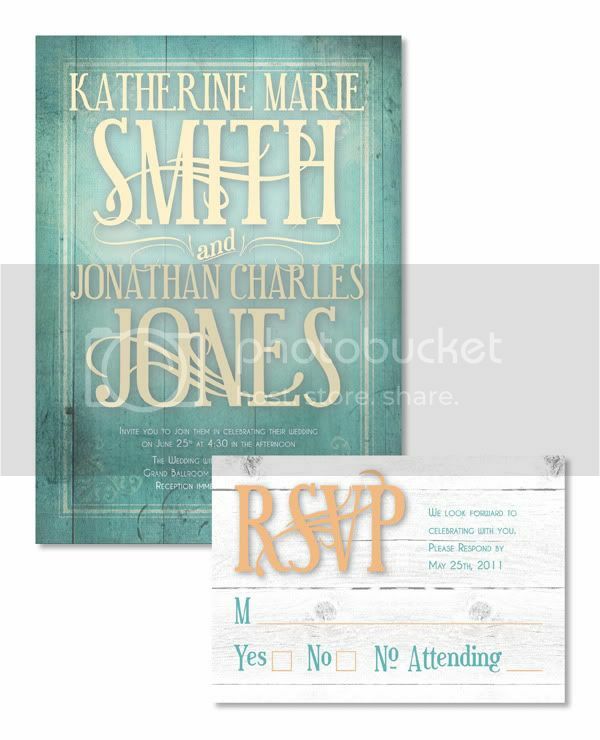 One of our personal favorites, this cheery combination is perfect for a spring or summer wedding. This is also one of those pallets that, if you choose, can be infused literally in to your decoration scheme. 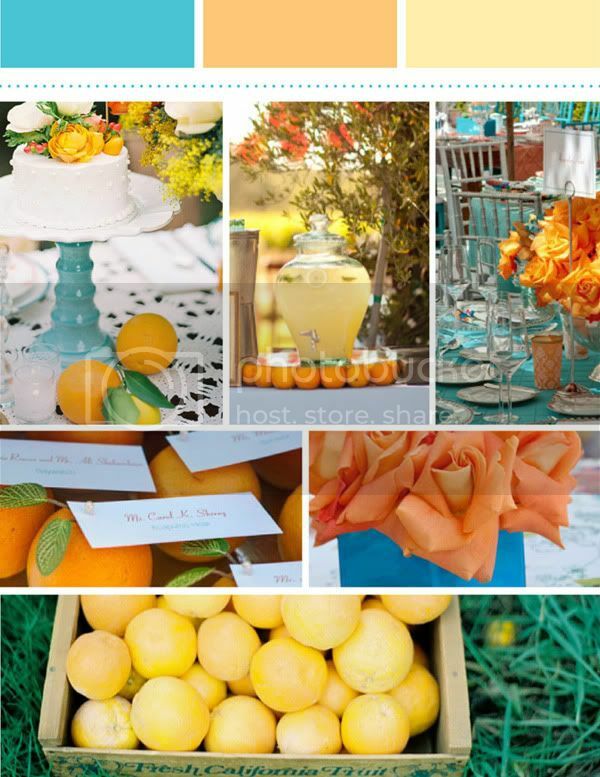 Fresh lemons and oranges can be used in centerpieces, place cards, and even in a signature drink (Vodka Lemonade, anyone?). There are many different ways that you could take this concept. Goldfish bowls and bright yellow flower centerpieces perhaps? We personally like a rustic concept combined with this pallet: its a bit unexpected. Seen below is a Treehouse Collection design, called Sunday Afternoon with a Turquoise, Clementine and Yellow pallet. Photos from Wedding Chicks, Style Me Pretty and Hostess with the Mostess.